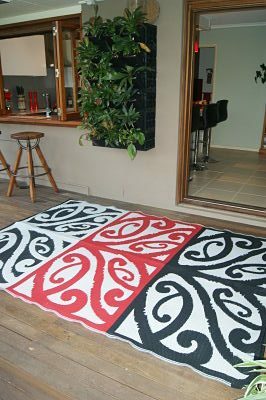 MANGOPARE Maori Design recycled play Mat (2.7m x 1.8m) is a traditional Maori symbol of strength and courage. 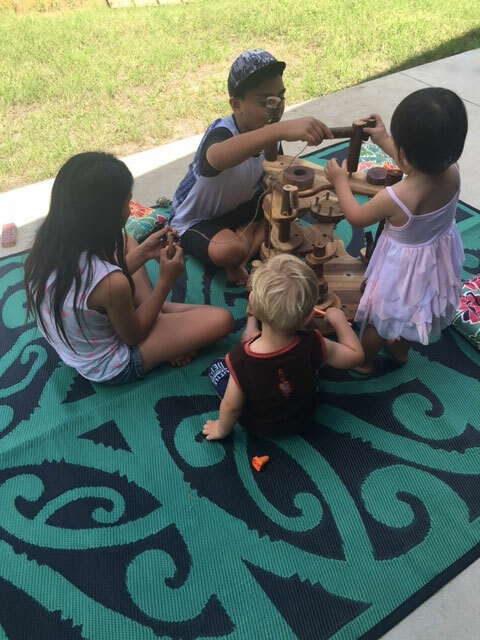 Our Mangopare play mat is a popular design for early childhood centres and classrooms. Kindergartens or Kapa Haka groups. 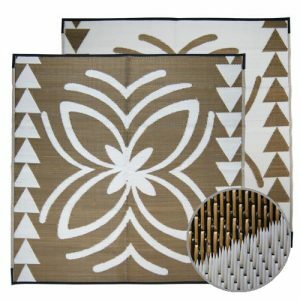 Celebrate your own culture as you relax on these mats, or use this design as a teaching tool about world cultures. 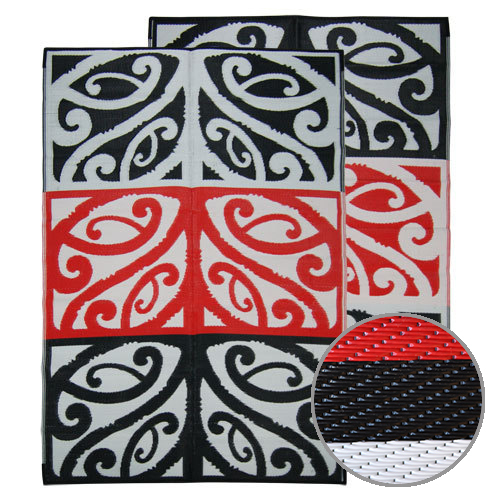 Choose a Mangopare New Zealand design recycled play mat in one of two colour combinations. 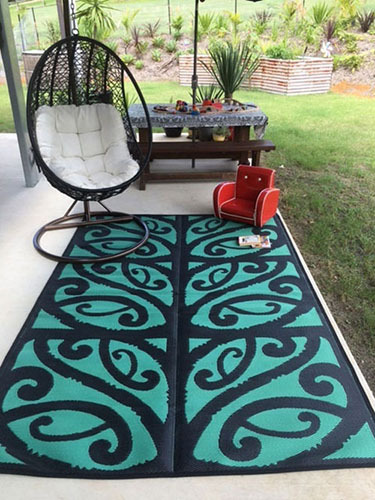 Stylish red, white and black, green and black for an eye-catching addition also to your home or office. 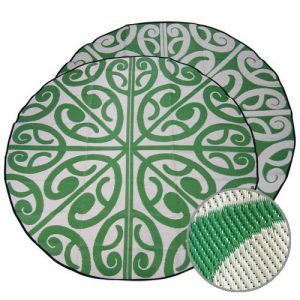 Bring a NZ cultural element to the classroom, early childhood centre, kindergarten or playcentres. 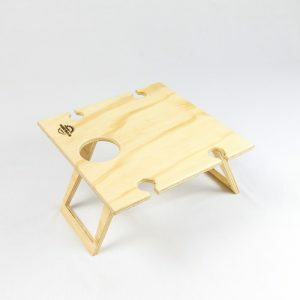 They are also great to give away as a unique NZ themed gift. New Zealand artist Turumakina Duley created this impressive take on the traditional Mangopare design. It is his interpretation of an ancient symbol, variously interpreted as a lovers’ embrace, a symbol of everlasting friendship and the ‘true wealth’ to be found in the natural world. 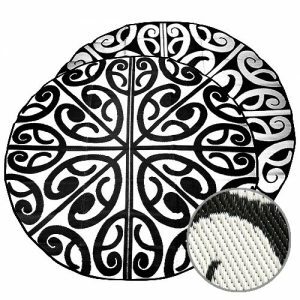 Furthermore These Mangopare design Maori play mats are hard wearing and durable. 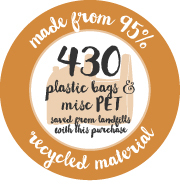 Made from 95% recycled plastics, such as plastic bags and also PET bottles, they are lightweight and wipe clean for easy maintenance. 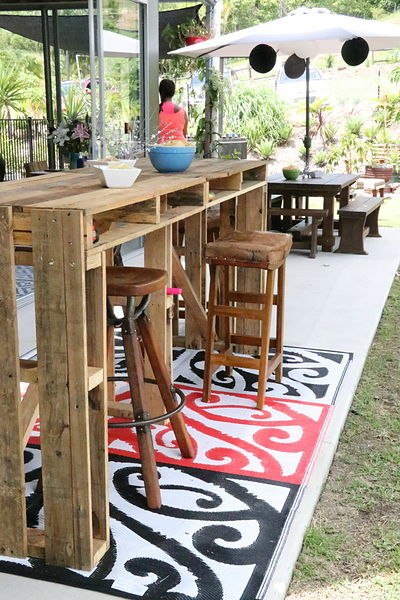 Check out our range of other Recycled Mats. 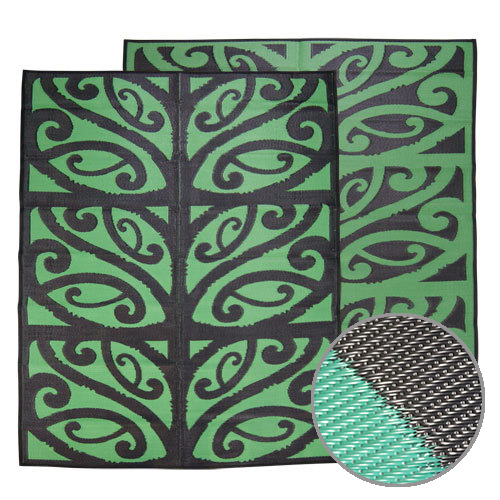 Choose one of our play mats for your early childhood centre, classroom, kindergarten or Kapa Haka today. Colours: Red, white & black or Black & green. 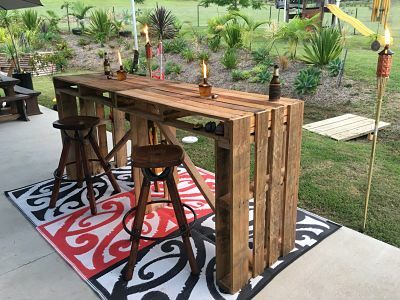 Origin of design: New Zealand. Origin of artist: New Zealand Maori, Tuhoe, Ngaiterangi, Ngati Awa. 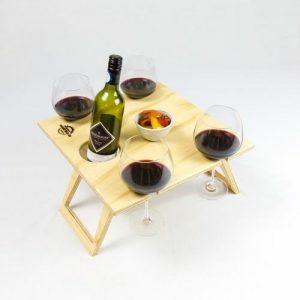 We purchased four of these for school events. Our first use was at our annual Year 8 Graduation. 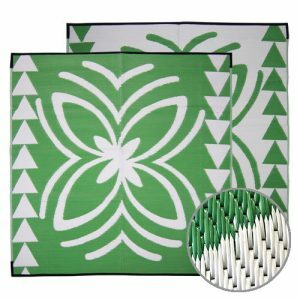 They were the perfect size, super easy to pull out and pack away and very light with great storage bags. They will definitely be well used in the years to come. Love the cultural designs. A wonderful company to deal with, super friendly and efficient.